Unique wedding ring set will be made individually for sizes requested. 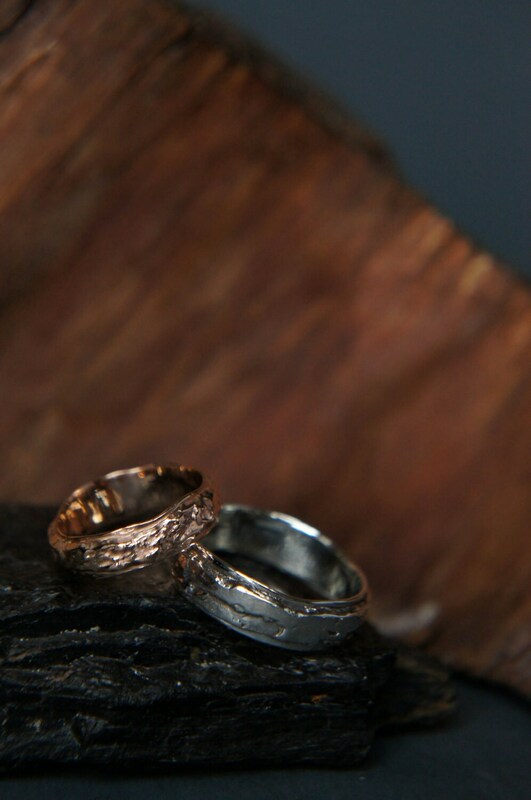 These modern wedding bands features two-layered textured design which looks very natural, original and rustic. One ring is made from 14K gold, other from sterling silver. 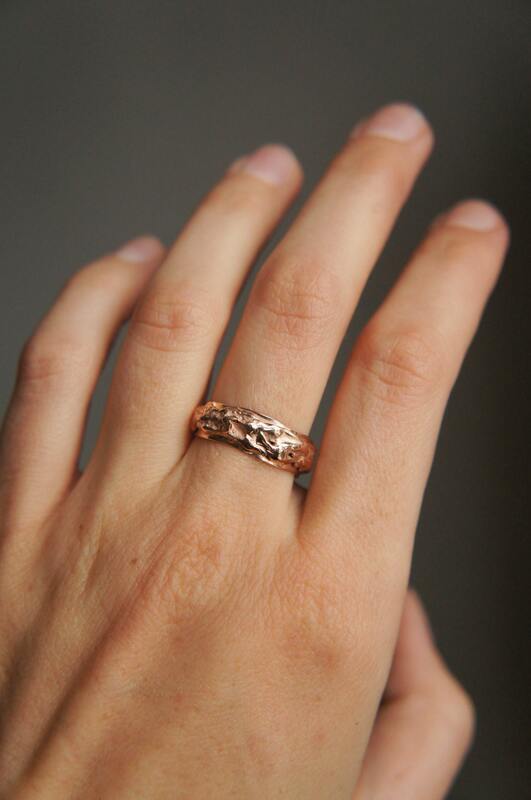 Textured wedding bands can be made from red, yellow or rose gold. 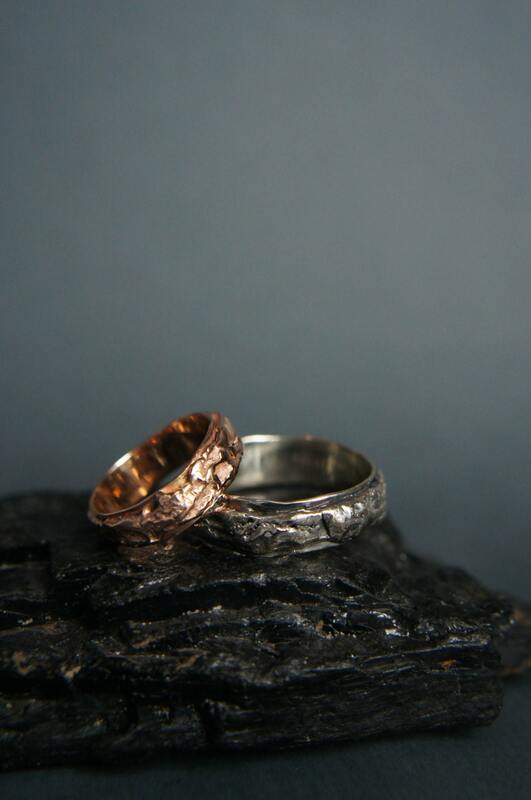 Rustic wedding rings technically are made from two rings each - one is set in another, inner ring is highly posished and outer has unique texture which is made with fire, melting the metal (process calling 'reticulation'). 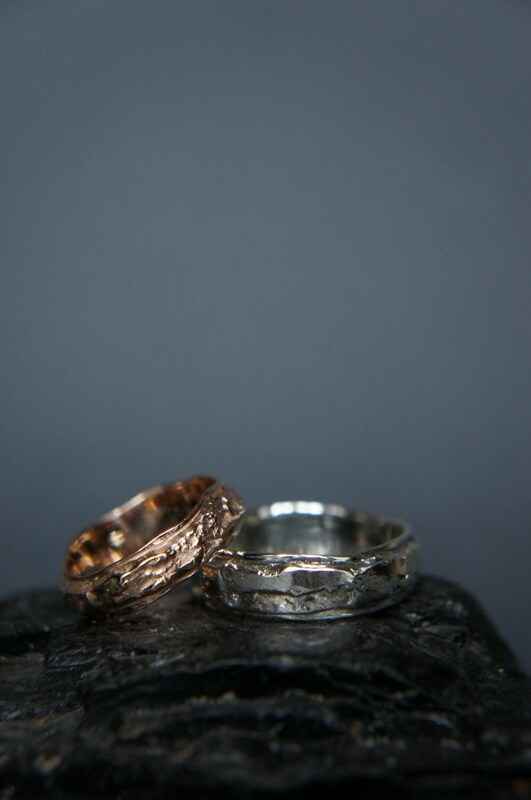 Each rough wedding band set is unique, we can't make a total copy, process is very natural and this bands stand apart from those who were made from mold by cast method. please specify your ring sizes in message to seller when placing your order. about 3-4 weeks for producing plus shipping. 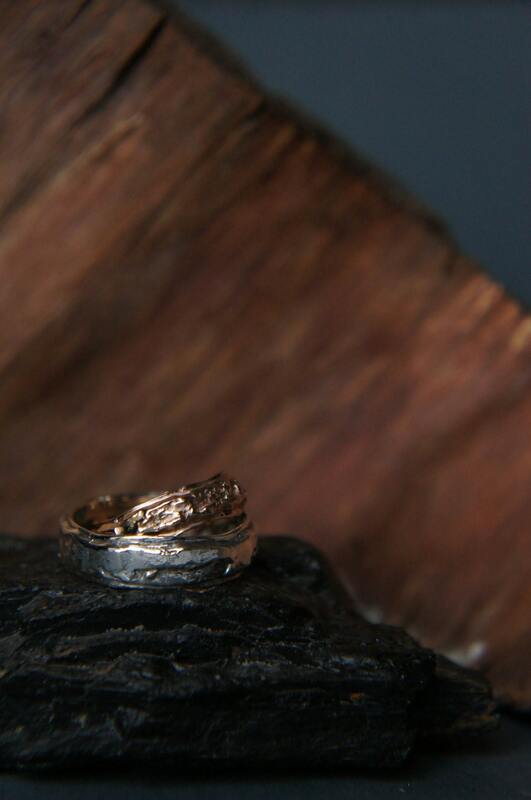 Both wedding rings can be made from gold or both from silver. Diamonds or other gemstones can be added by request. We are opened for custom orders, feel free to contact and share your ideas, we'll be happy to create your unique wedding band set.